Most people have preconceived notions that endodontic treatment, also known as root canal therapy, is painful. The better way to look at it is to think of all the pain root canal therapy will relieve you from. Unfortunately, the pain associated with an infected tooth root can sometimes be too much. Dr. Amir Azarpazhooh, our Bayview Village endodontics specialist, is always prepared to help relieve this pain by treating the infected tooth pulp. 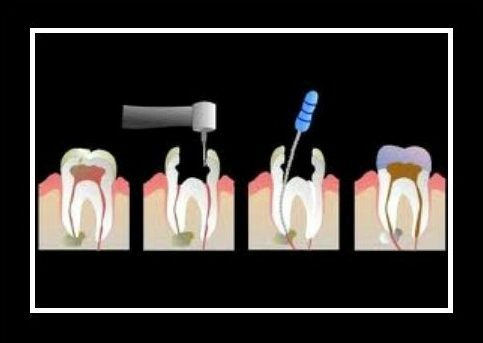 Endodontic treatment is usually performed under local anaesthesia and involves creating a small opening on the chewing surface of the tooth to gain access to the infected tissue. The tooth’s pulp, which consists of blood vessels, nerves and connective tissue, is removed and the tooth is cleaned on the inside in preparation to be filled and sealed. An adhesive cement material is used for the sealing of the tooth to prevent future infection. Finally, a dental crown is placed onto the tooth to prevent fractures and to restore the tooth to its original shape and function. If you’re experiencing some or all of these symptoms, please schedule an appointment with Dr. Azarpazhooh. With his years of experience as an endodontic specialist, he’ll relieve your pain while putting your comfort and wellbeing as his first priority.